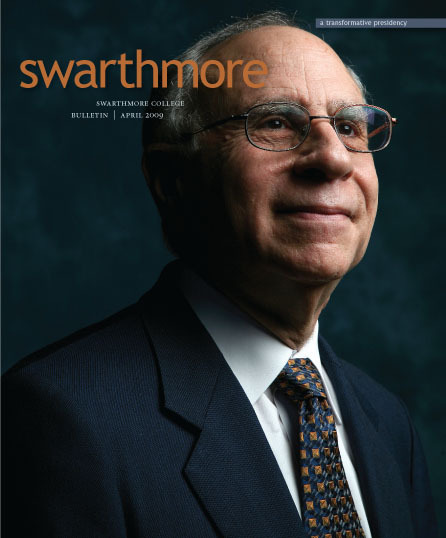 At its February meeting, Swarthmore’s Board of Managers usually approves the College’s budget for the upcoming fiscal year that begins on July 1. But this year, the Board decided to consider the 2009–2010 budget in phases. On Feb. 21, the Board made decisions on student charges, enrollment, financial aid, and capital projects. It deferred decisions on the remainder of the budget, including compensation and departmental budgets, until its May meeting. According to Vice President for Finance and Treasurer Suzanne Welsh, the Managers wanted to have “as much information as possible about the economy and its impact on the endowment, students’ and families’ financial situations, and our donors’ ability to give” before finalizing next year’s budget. Student charges for the academic year 2009–2010 will rise 3.76 percent—the lowest increase in 10 years. Total charges for tuition, student activities, room, and board will be $49,600. The Board reaffirmed its 2007 decision to give “loan-free” financial aid awards to all aided students. Suggested summer earnings and term-time work components of financial aid awards will remain the same as the current fiscal year. The target for on-campus enrollment will be 1,406 students, an increase of 16. The target for the entering Class of 2013 will be 390 students. The College also expects to accept 27 transfer students in the upper classes, mostly sophomores. The Board approved a significant reduction in capital spending for facilities projects over the next three years. In 2009–2010, facilities projects are expected to be $3.3 million, more than a $5 million reduction from the current fiscal year.